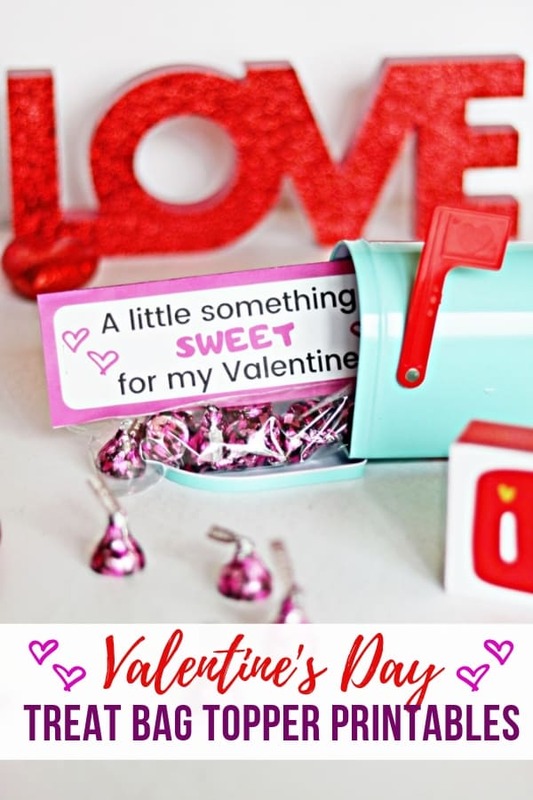 Use these free printable “A little something sweet” Valentine's Day treat bag toppers to make easy and affordable homemade valentines. For me, Valentine's Day gifting isn't just limited to my husband. Our family likes to spread the love by giving out homemade Valentine's Day treats to all of the important people in our lives. Aunts, uncles, grandparents, siblings, cousins, friends, coworkers, teachers and classmates are all fair game! 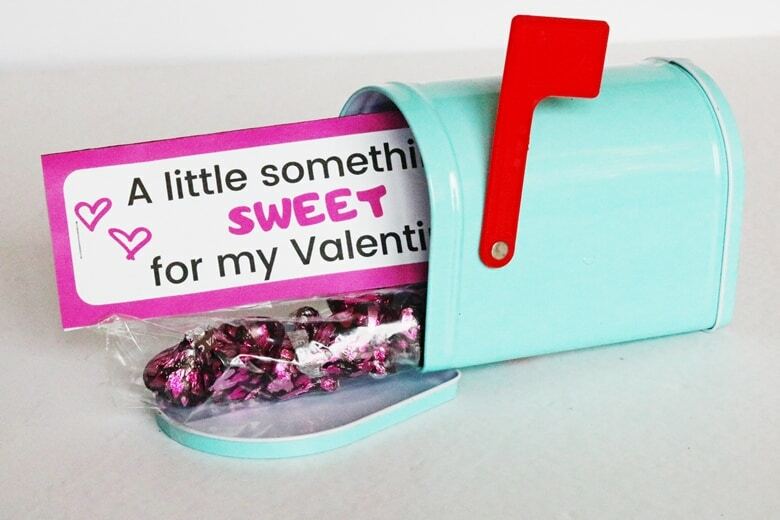 Schools often have classroom valentine exchanges, where everyone brings a valentine for each of their classmates. When it comes to deciding what to make for school valentine exchanges, the key is to choose something that is both super cute and easy to make. Since you will be making one valentine for each classmate, you don't want to make any craft too complex. These “A Little Something Sweet” Valentine's Day treat baggies are very easy to make and have that homemade touch that makes them unique. Made with real HERSHEY® rich and creamy chocolate, and wrapped with heart-covered foil, delicious HERSHEY® Lava Cake KISSES chocolates are perfect for Valentine's Day gifting. If you are looking for a fun and inexpensive homemade valentine for the kids to hand out in the classroom this year, I think that you will love these easy homemade Valentine's Day treat baggies. Looking for a larger gift for teachers, friends, and family members? Check out our Hugs & Kisses Mason Jar valentines tutorial with printable labels. 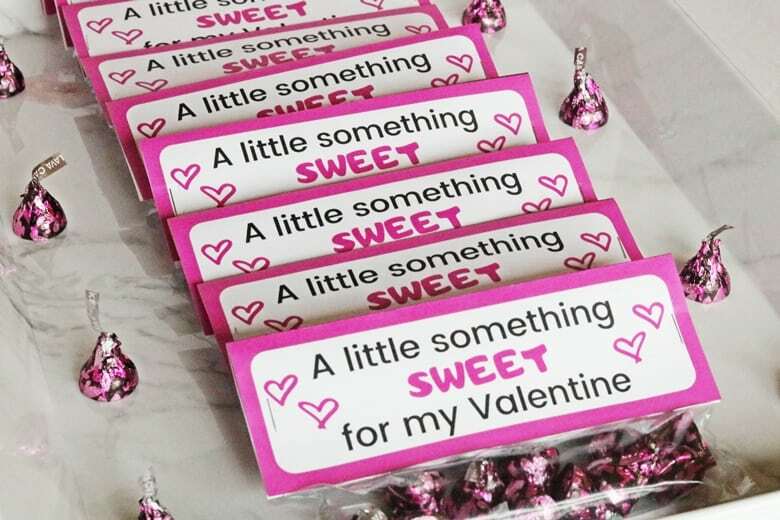 I created this cute printable Valentine's Day treat bag topper to dress up our Valentine's Day treat baggies a bit. 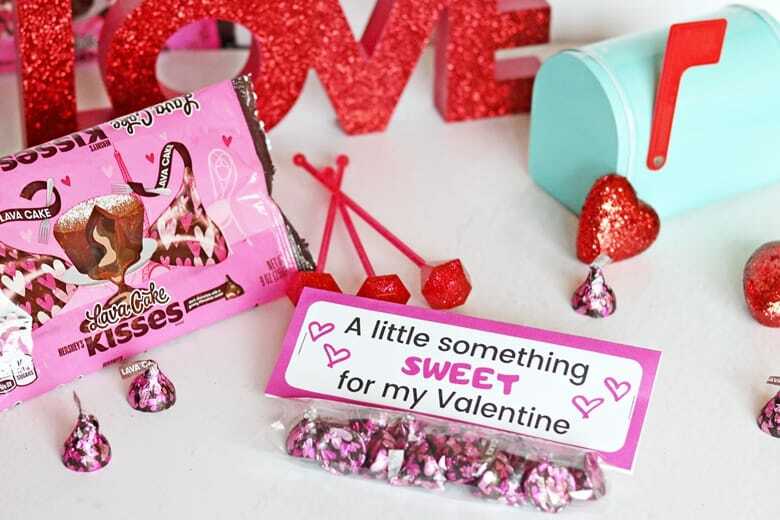 The treat toppers read: A little something sweet for my Valentine — which is the perfect message since NEW HERSHEY® Lava Cake KISSES chocolates are the ultimate sweet Valentine's Day treat. 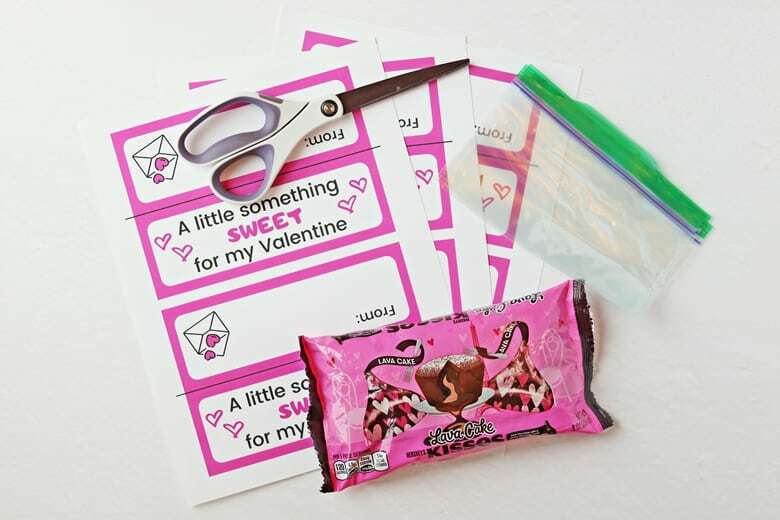 Have the kids help make these valentine treat baggies for their classmates. While younger children may only be able to help fill the baggies with HERSHEY® Lava Cake KISSES chocolates , older children can help cut out the treat toppers. One of the best things about these Valentine's Day treat baggies is how quick and easy they are to make. I was able to make an entire tray of baggies in under 15 minutes! 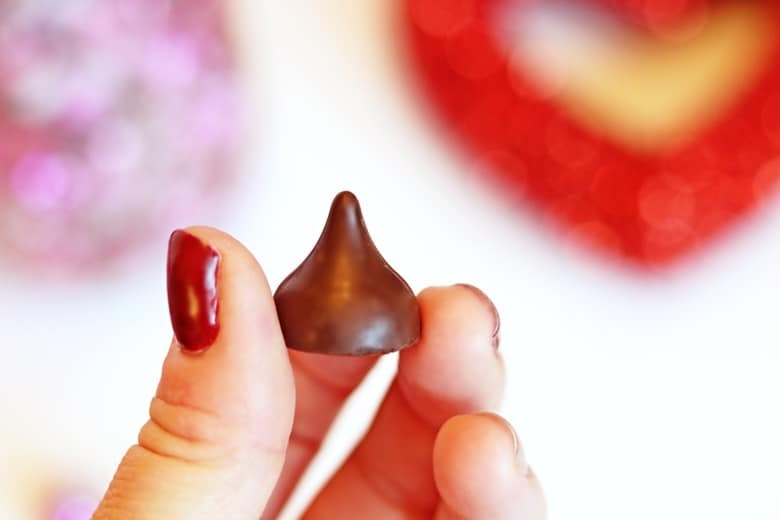 Fill baggies with NEW HERSHEY® Lava Cake KISSES chocolates. 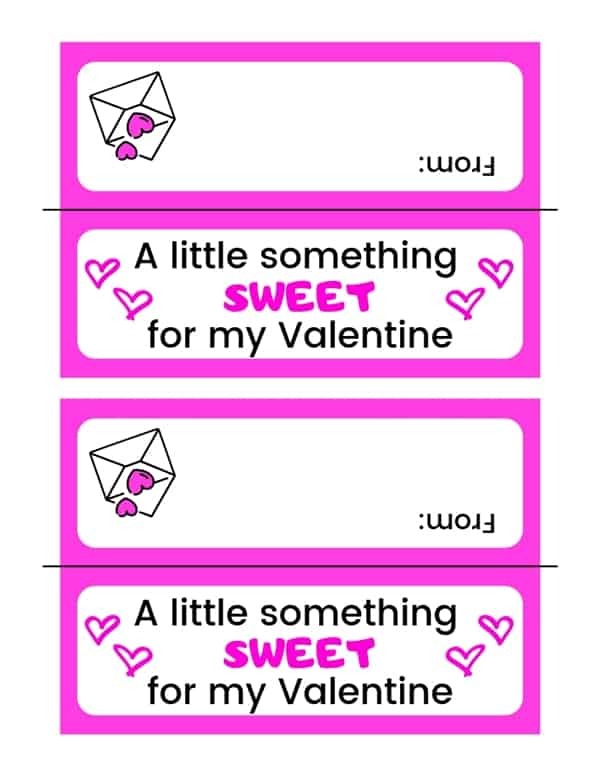 Download and print treat toppers out on cardstock and cut each one out. Print child's name, or have child print their name, on the back of the treat topper. See, that was simple, right?! 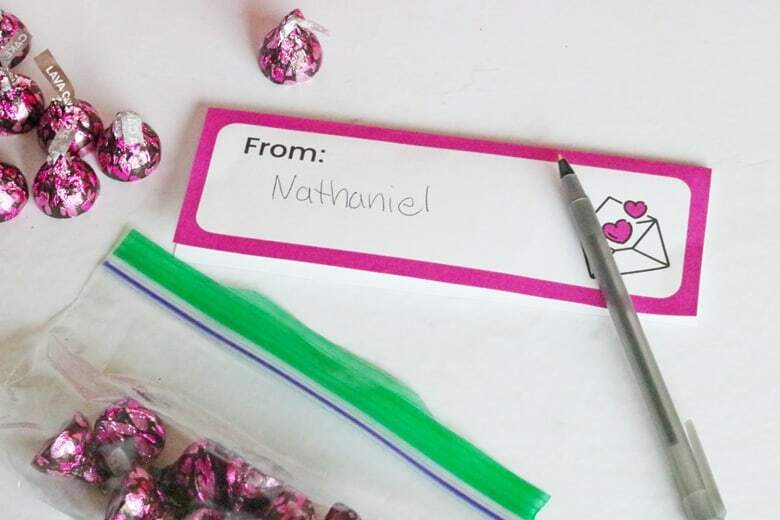 Visit your local Walmart for HERSHEY® Lava Cake KISSES chocolates as well as the other supplies needed for these DIY Valentines. I found everything I needed at Walmart, my one-stop shop for all things Valentine’s Day! I hope that you and your little ones enjoy making and handing out these fun Valentine's Day treat baggies. Happy Valentine's Day!